A lot of fans ask me how I got interested in Hoyt Axton. It was back in the early ‘60’s when I was going to college and living in a nearby house with three other guys. One of my roommate’s girlfriends bought him a record album for his birthday – an album called Thunder ‘N Lightnin’ by a folk singer I never heard of named Hoyt Axton. While all of my roommates really liked the album, I just had to have more. So I went to a local record store and immediately found two other albums called Greenback Dollar and Saturday’s Child. These three albums were just amazing. I was about 18 back then, and I had never heard anyone sing this type of music nor anyone sing with this much power in his voice. I was used to folk singers like the New Christy Minstrels, Peter Paul and Mary, and other nice, tame groups. They were good too, but NOTHING like this guy named Hoyt Axton. Naturally, I had to get a guitar and figure out how to play a few chords, and sing like this guy. So my buddies and I would have a few beers and sing a few songs like Greenback Dollar, but for some strange reason, we just didn’t compare to Hoyt. I was content to listen to his records (playing them over and over) for quite a while, then I met my future wife, Elna. She really liked Hoyt’s music as well, and we found he was performing live at small nightclubs around like The Golden Bear, The Palomino, and The Troubadour. We started going to his performances and we were just “blown away”. We took a lot of friends over the years and they too, were amazed at Hoyt’s performances. As his official biography states, his performances could best be described as "intense"! We would check out the “Calendar” section of the L.A. Times every Sunday, and every time we’d find that Hoyt was appearing somewhere, we would go. We moved out of the L.A. area in 1968, first to Ventura, then to the San Joaquin Valley, but this didn’t stop us from driving a couple of hundred miles to Hollywood whenever Hoyt was in town. Of course we had every record album Hoyt produced, but in 1973, his first A&M album, Less than the Song, came out. I decided to write a letter to A&M Records, because I was disappointed that none of Hoyt’s records had some of the songs he used to sing live at The Troubadour. Although we liked all of Hoyt’s albums, they were missing some of our favorites, so my letter was to suggest quite a few songs. Also, in the letter, I happened to mention that we were REAL fans, and that we even named our newly born first son’s middle name Axton. I guess someone at A&M was impressed and we got invited to one of Hoyt’s parties at the A&M Record studios, where we met Hoyt, his mother Mae, and Hoyt’s friend Linda Ronstadt. After the party, we were then invited as his guest to another great performance at The Troubadour. That sort of ended the “first chapter” of our Hoyt Axton experiences. We moved from California to Anchorage, Alaska, in 1974 (I was in the oil business). But part of my job became managing a project in Tacoma, Washington, so I had to make frequent business trips there. Around 1976, Hoyt happened to be performing in Tacoma, so I took a buddy of mine to go see him. It was a pretty big theater, nothing like the intimate setting of The Troubadour, and he had a group of musicians and backup singers with him now. I was up front taking some pictures so I could show Elna when I got back home in a few days, when one of Hoyt’s backup singers saw me in the crowd (amazingly) and said, “Ray?”. I then recognized her as Janalee Eberly, a girl I knew in high school over 12 years earlier. We obviously couldn’t talk much during the show, but after the show, we went back stage and saw Hoyt and she told me she had recently joined Hoyt’s singing group. She was married, so her name was now Janalee Dare, and she loved her new job. We thought it was an amazing coincidence – her singing with Hoyt, and he had been my favorite folksinger long before she ever heard of him. So I brought pictures and quite a story back home to Elna. In the early ‘80’s Hoyt came up to Alaska to perform at the Palmer Fair, near Anchorage. Naturally, this time the whole family, including our two boys, went to see Hoyt. Our oldest, Jason Axton, got to meet the man named Axton who he was named after. With Hoyt’s permission, Janalee came out to our home and spent the night with us before having to leave for the “lower 48” the next day. So over the years, we’ve kept in touch with Janalee as she was one of Hoyt’s closest friends for his last 24 years. She would send me tapes of music from recording sessions, and I would send her music from Hoyt’s early career, which surprisingly even Hoyt didn’t have access to. Janalee marveled at Hoyt’s voice when he was still in his 20’s. She greatly misses Hoyt, of course, but she still keeps in close touch with Hoyt’s ex-wives and all of his children. Around 1996, I was just getting introduced to the internet, so naturally I had to do a search for “hoyt axton”. 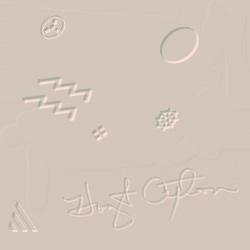 I found Stone’s website called “Hoyt Axton Explodes”, which was (and is) very good. We started to correspond and became internet buddies, although we’ve never met in person. Darren (his real name) is very creative and I really liked what he had done with his Hoyt Axton site. But since he was almost 20 years younger than me, he wasn’t aware of some of Hoyt’s early work. Although he was a great fan of Hoyt’s, the early music was so hard to find that the “younger crowd” hadn’t heard of it. So I helped Darren with some information he didn’t have about Hoyt’s early career and got some early music to him so he could add it to his website. He also helped me with his knowledge and creativity about developing websites because I was trying to create my own personal website. A couple of years ago, I decided to create a Discography website, not to compete with Stone’s, but to basically provide information about Hoyt’s published music. It’s not as entertaining as his, but I wanted something where a Hoyt Axton fan could go and find everything about every album Hoyt ever produced. There are some other discographies around of Hoyt’s music, but all of the others have mistakes or omissions, so I wanted one that is COMPLETE and CORRECT. As it has grown in popularity, I started getting emails from long time Hoyt Axton fans and even friends of Hoyt’s like Bob Mizrahi and co-songwriters of Hoyt’s from the 1960’s like Ivan Ulz (She’s Riding High on Me, San Fernando, and others). From folks like this and Janalee, I’ve been able to add more music of Hoyt’s that has never been published. As I collect all of the music, I convert it into CD quality .wav files, so I can then create CDs. I now have everything Hoyt ever published, plus a lot of unpublished music, available on CD. Keep your eye on the website, because I've got more coming. It’s been a fun 40 years.